Prince’s Islands in the Sea of Marmara right at the mouth of the Bosphorus have been used through the ages as a hunting ground for Byzantine royalty, a prison or place of exile for those who met with the emperor’s displeasure, a refuge for Orthodox and Armenian monks and nuns, and finally as a resort for Istanbu people tired of the bustle and noise of the city. The name Princes seems to have been tacked on by foreigners who associated the islands with the adventures of Byzantine royalty. The Turks simply say Adalar the Islands when referring to them. TRANSPORTATION: Ferries to the islands depart from both Sirkeci (Dock 5) and Kabataş (Dock B, near Dolmabahce, but the express ferries are the ones you want, and they depart only from Kabataş. The trip from Kabataş to Heybeli, the first express feny stop, takes 50 minutes, whereas by normal boat from Sirkeci the trip is almost twice as long. 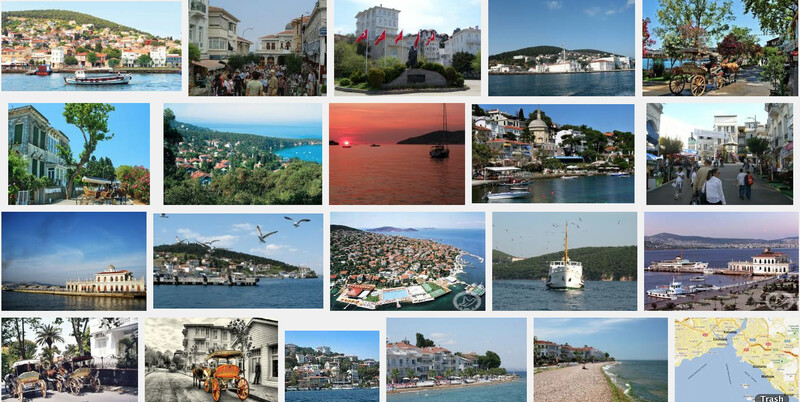 Büyükada, the largest and most interesting island, is another 15-minute trip past Heybeli. I’d recommend that you take the express boat all the way to Büyükada, see that island, then take a later boat for the short hop over to Heybeli, and after you’re done there, catch a returning ferry to Kabataş. Here are some convenient departure times (subject to change): from Kabataş, the one morning express ferry departs at 9:45 a.m.; from Sirkeci, normal ferries depart at 6:50 and 10:50 a.m. and 12:50 and 2:50 p.m. The few morning boats from the city to the islands fill up quickly, and though you’ll almost certainly get aboard, you may have to stand the whole way unless you get aboard and claim a seat more than 30 minutes before departure. There are many afternoon and evening boats, but these don’t leave you much time for sightseeing on the islands. Return trips depart Büyükada for Kabataş at 1:40,2:40, and 6:40 p.m.; the slower boats to Sirkeci depart Büyükada at 4,6, and 7:30 p.m., and there are three even later boats. Departures from Heybeli are 15 minutes after the aforementioned times. Ferries shuttle between Büyükada and Heybeli throughout the day. Besides the ferries, there is now hydrofoil, or deniz otobüsü, service from Kabataş to Büyükada. The trip takes only 22 minutes. 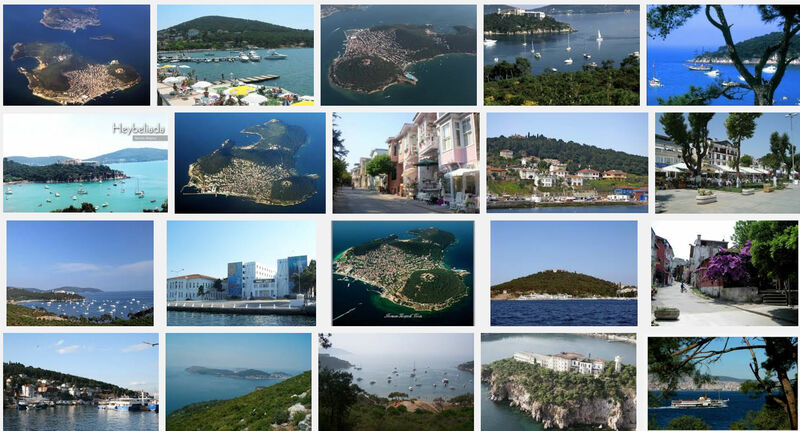 BÜYÜKADA: The small islands of Kınalı and Burgaz are passed on the trip to the bigger two called Heybeli and Büyükada. The big ones hold the most interest for you, the smaller ones have less to see and do. 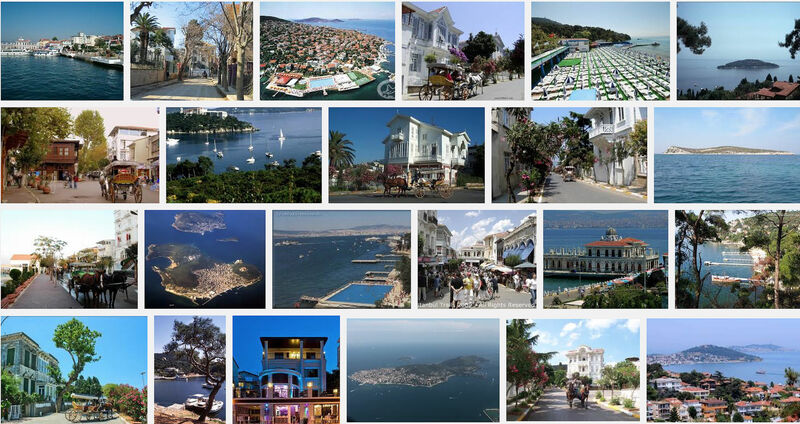 Büyükada, the biggest island of them all, is the best place to begin your tour. Walk off the ferry dock and you’re back in the last century. Up the main street are a clock tower and small monuments set in little grass plots; along the waterfront, couples sip tea or cold drinks and watch the boats pass; the sleepy little streets hold rows of shops with awnings shading their fronts from the burning sun. And best of all, there are no cars! Except for a few police Jeeps, town service trucks, and the telegram delivery boy’s motorbike, no motor-driven vehicles are permitted on the islands. Instead, loads are transported and people get around in horse-drawn carriages or on bicycles. Outside the town, by the dock, the island holds a few more settlements and lots of forested hills good for a picnic or a walk. On the edges of the forests are huge old mansions with picturesque gardens in front, many of them still manicured daily by the house gardener. The houses are great sights, with Victorian ornamentation and peculiar “observation tower” cupolas on the roofs. There are no really good beaches on Büyükada; activities are limited to walking and relaxation unless you know someone with a boat and a set of water-skis. But it’s a good change from the city, and you’ll want to experience it at least once. Here are some hints: walking from the dock, the market and business sections of the town, along with the fairly expensive seaside restaurants, lie to the left; for a walk through the old houses up to the pine trees on the hilltop, walk to the clock tower and bear right. You can get a carriage from the stop on the left of the clock tower square. Bargain with the driver for a tour around the island, about an hour trip. Büyükada seems a dream from the 19th century. It’s strange to a 20th-century person to be able to hear the sound of people walking, of muffled horses’ hooves, of bicycle bells, and nothing more. Graceful old hotels with dowagers on the verandas, dark wood-paneled restaurants with white tablecloths and gleaming crystal, and rooms with tranquil views of the sea bring the tableau to life. There are plants everywhere. All in all, after even the briefest look around, it becomes obvious to the modern-day visitor that the islands found their proper place a century ago, and stayed there. For those who have the wherewithal to make the dream a reality, a night in the old Splandit (Splendid) Hotel. HEYBELİ ADA: The trip to Heybeli Ada, the neighboring island, takes ten minutes. On the left of the dock is the big naval college, while on the right, tea houses and caf6s extend the length of the waterfront, broken now and then by patches of color where fishermen are drying their nets. Activities here are much the same as on Büyükada, with these additions: tea or a cold drink is available in any of the tea houses on the waterfront; a carriage ride to the other side of the island will bring you to some small strips of sand for swimming. Just down the road from where the carriage drops you off is a pay beach, but if you can do without the facilities (and the crowds), walk to your left just before the entrance to the pay beach, through the forest, past the naval college’s installations, to a small point extending into the water from a corner of the island. The beach (at the bottom of the bluff) is thin and pebbly, but the swimming area is sandy and warm. A good idea for those who really want to swim is to rent a rowboat from next to the pay beach and row down here to swim; you might take a row out to the private little island just off shore. A grand tour of Heybeli by horse-drawn, there’s a lively nightlife on the island, but it’s mostly private goings-on among people from the city who own houses on the islands. The islands are really a place for a daytime visit, preferably on a weekday.